Studies have shown that colors influence appetite. Research backs up that certain colors suppress appetite while other colors stimulate it. But while these color standards have been known to designers as go-to shades when creating restaurants, the booming food industry continues to seek unique interiors that make the dining experience more memorable and pleasing to customers. With the advent of social media, picking a restaurant is now not just about the food, but the elements that “compose” the restaurant. From the history of the shop, to the interior design, to the owners and the people running the restaurant, to the way food is plated and how that “matches” the interiors, every element should now make a social-media worthy experience. Thus, playing it up with colors and the interior design of your restaurant requires more thought, even professional advice, now more than ever. When something or anything is set apart from the rest that only means that it may be made from a far better material or of superior craftsmanship or of the highest quality. It is by far distinct from the rest simply because it stands out on its own merits! Terrazzo with its many varied qualities is one of those exceptional building materials and elements that stand out in its uniqueness. 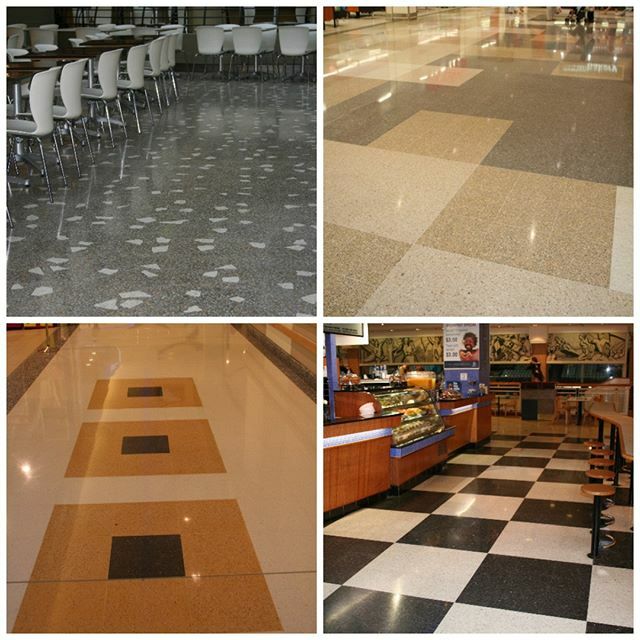 Terrazzo is widely considered as an eco-friendly or green building choice. To manufacture and create terrazzo, manufacturers use recycled materials as composite elements. Of the available construction materials in the market today, terrazzo is recognized as one of the more sustainable and environment-friendly. This is because of the various aggregates that make up the terrazzo. Terrazzo is typically made with cement with the addition of materials such as discarded marble bits, quartz, porcelain, granite chips, crushed rock, river pebbles or post-consumer glass. Terrazzo provides a unique and beautiful solution for any surface. The use of these post-consumer composites makes terrazzo an eco-friendly mix because nothing is wasted and much of everything is recycled. 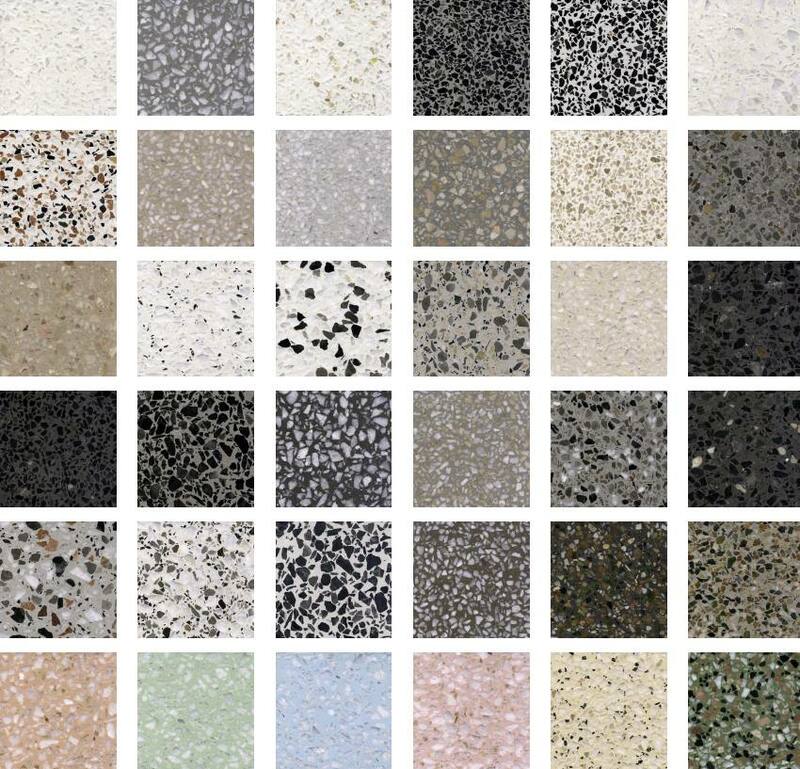 A combination of these various scrapped material are processed and added into the terrazzo mix to create a uniquely designed pattern in a wide mix of colours for any project scheme. The product’s exclusivity is also what makes terrazzo one of the most design-flexible materials available to builders, interior designers and home makers alike. Terrazzo materials boast of high sustainability and proven durability without any problems arising that cannot be dealt with regarding its design. Your individuality sets you apart! Be yourself. Be unique. Design boldly or design simply. Let the creative juices flow when using terrazzo as your building and construction medium of choice. Complement your design concepts with exceptional intentions that separate you from the rest of the pack! 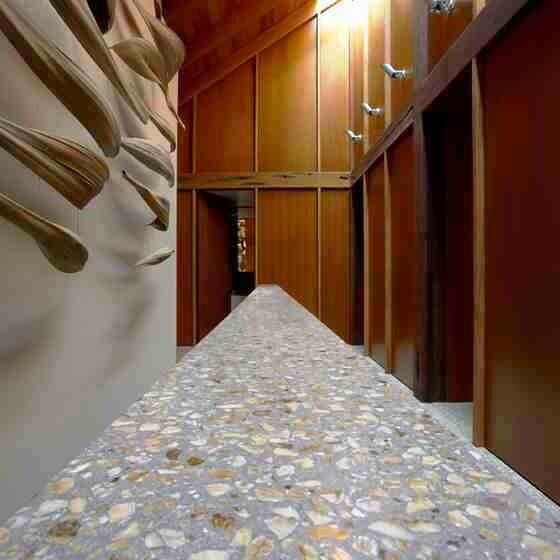 Terrazzo is one magnificent building and designing material that is as flexible as one’s own imagination. There is literally nothing wrong that any perceptive and forward looking architect, interior designer, homemaker or anyone sensible enough can do with it. Terrazzo is so strong and resilient it will last ages, beautiful and stunning everybody will look twice at it and extremely versatile one can build and shape many things with it. And, to top it all is as easy to keep clean throughout its entire lifetime. So beautiful, so durable and so versatile that is what terrazzo can be for you. Terrazzo is one of the more popular choices for building materials, construction products and precast elements for highly urbanized residential, commercial and institutional spaces. It is now widely utilised for high-impact flooring, pre- fabricated elements and bathroom partitions and in more recent times for interior decoration purposes. Creativity sets the standard and with terrazzo sky is the limit! Design flexibility is one of the very many concerns when one decides to use terrazzo for any of their building or construction projects. Truthfully speaking terrazzo is one very beautiful and amazing building material and designing element for those with a keen eye for creative design and permanence.